New patients should arrive 15-30 minutes prior to the scheduled appointment to complete appropriate paperwork about your medical history and insurance. Established patients should notify us about any changes in insurance, address, phone number, or place of employment. If such changes have occurred, please come early so these changes may be updated in our records. Some visits, such as physicals have additional paperwork involved in order to streamline your time here and in order to be as thorough as possible. Please fill these forms out as completely as possible so the physician can address specifics about your healthcare. Soon, our forms will be available online for you to fill out in advance if you desire. If you have a form you would like the doctor to complete, please have any information that you are required to provide already completed, including your name, date and insurance information. 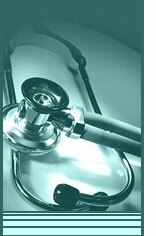 Forms in which you have not completed your section can not be completed by the physician and will be returned to you. We are glad to complete simple, one or two page forms which you bring with you to your visit. We are also happy to complete forms that are required by the state or federal government, or by your insurance company. Forms which are more complex, longer than two pages, or which you ask us to complete after a visit, will be assessed a $10 completion fee for forms up to five pages and $25 for forms longer than five pages. These forms will require 7-10 business days to complete. Upon completion, we will return them to the patient who may then send them to the agency requiring their completion.